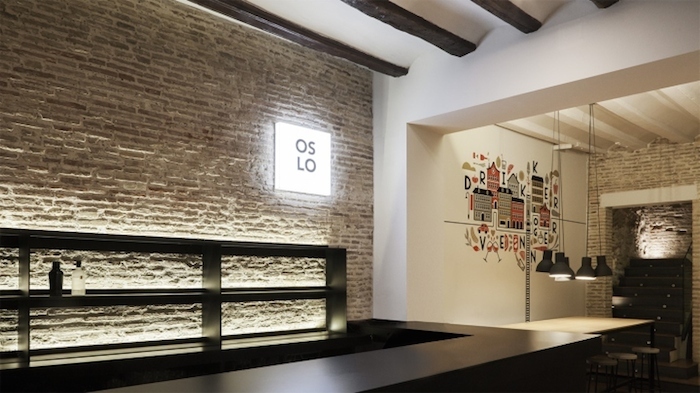 You can find a little piece of Oslo in the heart of Valencia, Spain. 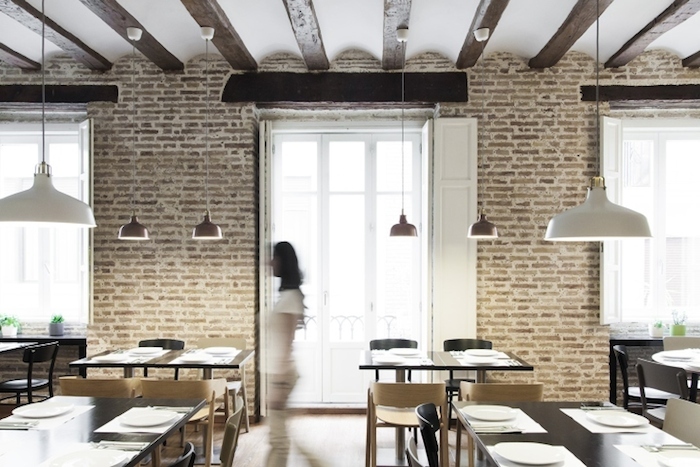 The stunning restaurant by Grupo Copenhagen is located in a 1850’s building and the space is designed by Borja García Studio. 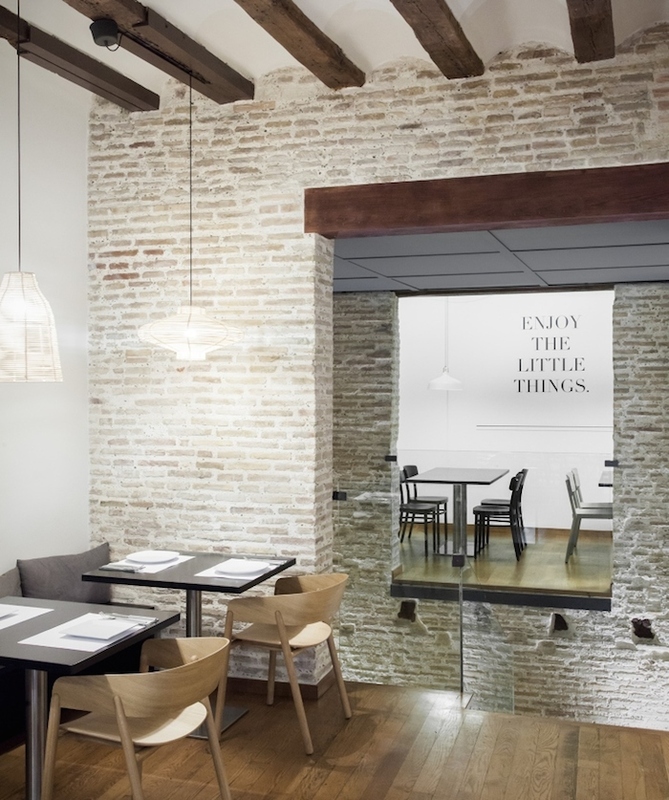 The main idea has been to respect the original atmosphere of the old building. 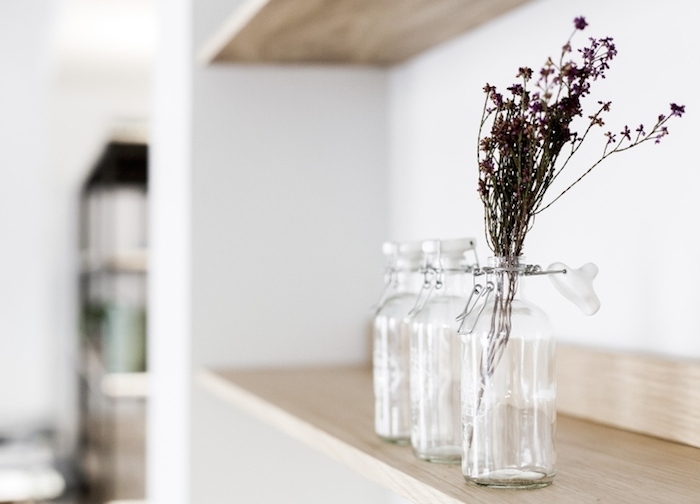 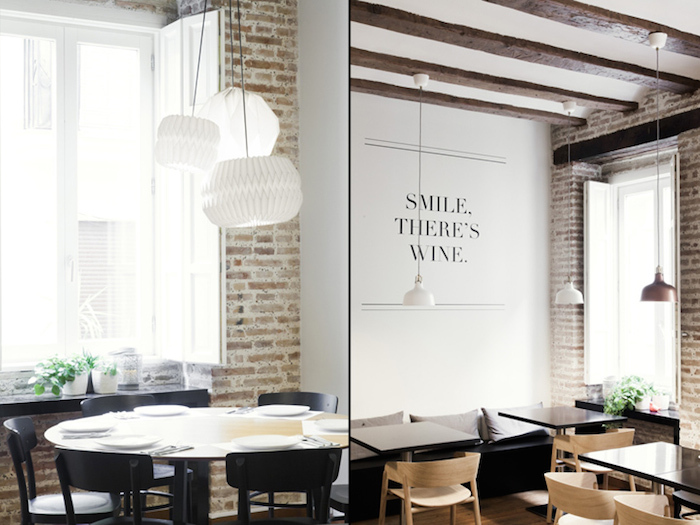 The brick walls and the wooden beams on the ceiling do justice to the architectural history of the place, while the simple yet stylish furniture add a Nordic feel. 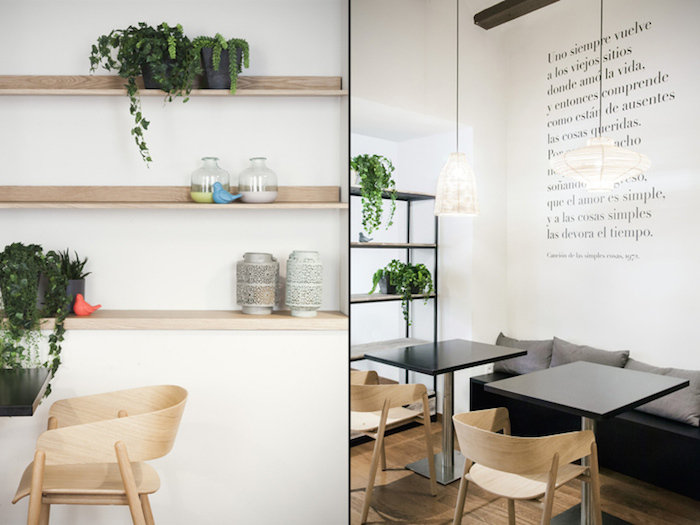 The result is an harmonious, serene and intimate setting. 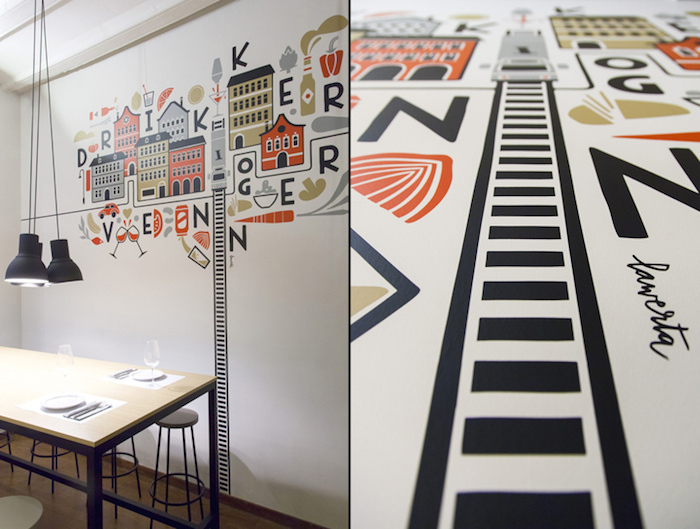 I’m also loving the ‘Drikker og Venner’ illustration of a Nordic city by Valencian artist Lawerta, as well as the quotes in the dining room. 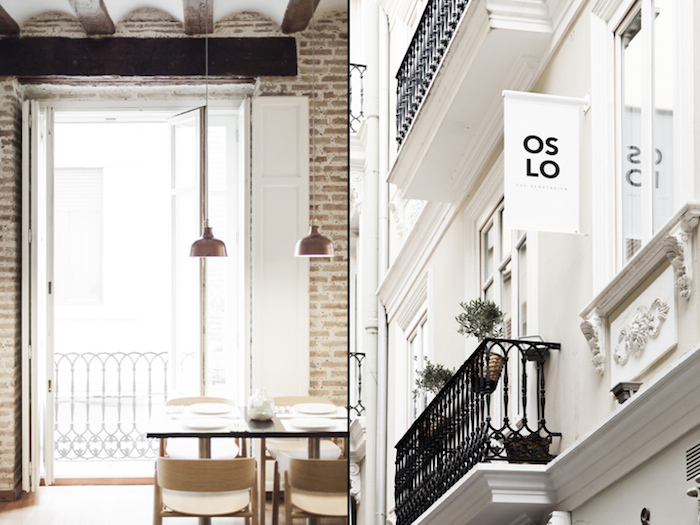 Psst: There is also a restaurant called Copenhagen in Valencia, too! 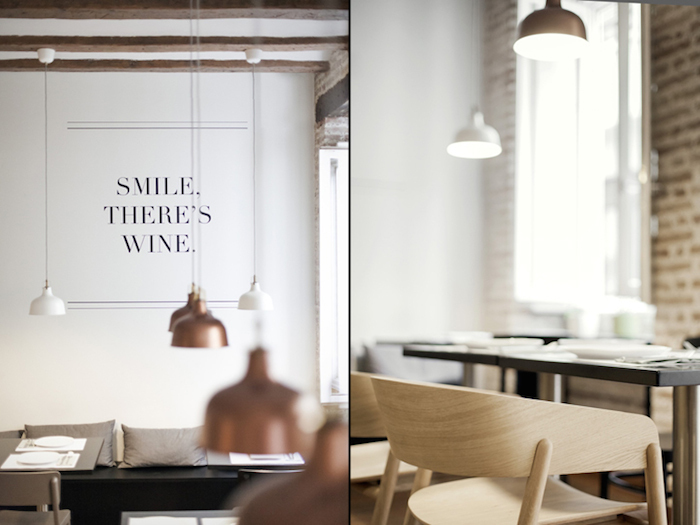 Fantastic work of interior design and fantastic place to eat!